Signs is the final part of Beacons, a programme of 3 exhibitions, talks, workshops and an accompanying publication with interconnecting threads and tangents exploring our relationships with ourselves and each other within the framework of cyclical time and feminist legacies. Pharos, Flare and Signs seek to communicate our experiences of time, existence and our bodies through empathetic exchanges with objects, emotional archives, traces left in artefacts; imagining futures and resurfacing histories. Verity Birt is an artist based in London. Research is the foundation to Verity’s practice working collaboratively with a mix of disciplines to mobilise ideas and expand methodologies. She has maintained open dialogue and exchange with academics, scientists, archaeologists and historians to question and challenge the patriarchal narratives of Western History in which our concepts of the past and future are socially and culturally embedded and re-enacted. Verity is currently investigating the potential of prehistory (specifically the Neolithic, just before the invention of writing systems, c. 5,300 years ago) as an imaginative and speculative (temporal and material) site before-and-outside-of patriarchal and historical territorialisation. Through processes of excavation (online and on-land) of archaeology, technology and mythology, she aims to mobilise narratives from epistemologies which have been historically suppressed and eradicated. Imagination, storytelling and mythmaking are invoked through sculpture, performance, text, sound and moving-image; creating thresholds into multiple durations and materialities. This opens up a space in which we might critically reflect on the past and present to imagine possible sustainable futures. 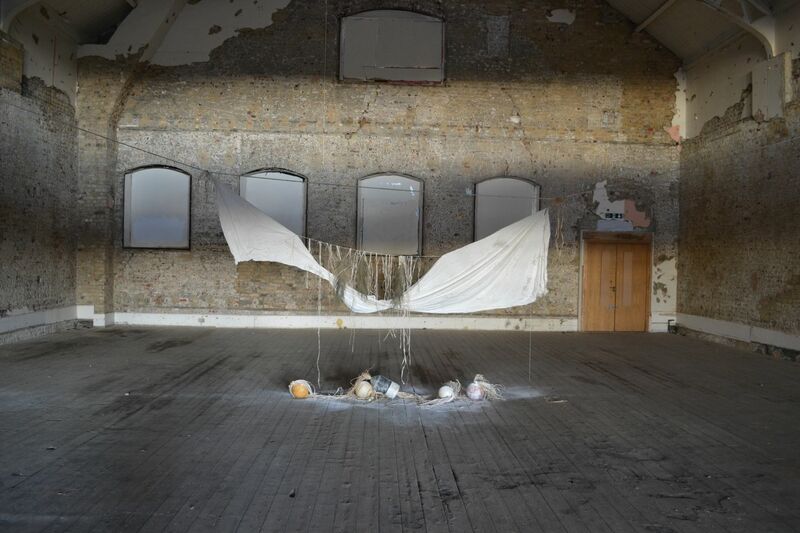 Anna Hughes’ practice includes sculpture, painting and textiles. She investigates the mystical and metaphysical properties hidden in materials, textures and architectural forms to explore ideas of re-enchantment, alignment and the connective relationships between her works and the space they inhabit. Her geometric structures and wall reliefs respond to modernist forms, pared down to a skeletal apparatus. Plays of strength and fragility are rendered in materials such as concrete, or layered wax, solidifying and embedding traces of imprinted patterns that bring emergent codes to the surface. Symbolic objects such as willow leaves, crystals and rocks are placed as if to harness or accelerate energies around the sculptures, while recurring symbols such as the snake appear as entities that can slide like spirit mediums between bodies and time, known and unknown worlds. Nicola Singh is an artist based in Newcastle. Her practice is rooted in performance and is made in response to contexts of feelings and chance, encounter and dialogue, location and place. She produces multifaceted projects, often involving live readings, experimental music, dialogue with other artists and the production of performative installations and objects. Nicola also works as an arts educator in gallery and community settings, exploring ideas of performative, discursive and physical approaches to pedagogy and research. She holds a practice-based PhD in Fine Art, titled “On the ‘thesis by performance’: a feminist research method for the practice-based PhD”. Ayesha Tan Jones' work is a spiritual practice that seeks to present an alternative, queer, optimistic dystopia. They work through ritual, meditating through craft, and building forms from their dreams. Ayesha approaches activism through art, creating diverse, eco-conscious narratives that aim to connect, enthral and induce audiences to think more sustainably and ethnically. Traversing pop music, sculpture, alter-egos, digital image and video work, Ayesha sanctifies these mediums as tool's in their craft. Dominique White merges incompatible worlds into a universe using a visual vocabulary which draws from blaccelerationism, afro-pessimism and beliefs surrounding the Kalunga; a watery boundary between the living and the dead. Her work takes form as sculptures, performances and installations, which act as beacons of a fictional and experimental universe that only emerges into this realm bit by bit. Her sculptures demonstrate how black life could extend beyond its own subjective limits and act as emulations of a forgotten or ignored civilisation. She uses storytelling as a means of exploring the Kalunga, but also the Drexciyan (from the Detroit techno duo, Drexciya) theory of an existence of an underwater civilisation populated by the unborn slaves thrown overboard during the Middle Passage. She purposely combines nautical motifs such as sails, masts and anchors with materials such as kaolin, calico and dried palm leaf to forcefully dissociate the motifs from their original meaning or function and thus renew the objects with a magic charged with reclamation and retaliation. Her works are an investigation into disrupting linear time and delicately balances the states of preservation, decay and renewal, but also emanates the sense that an event has/will/will never take place at any time whether there are witnesses or not.